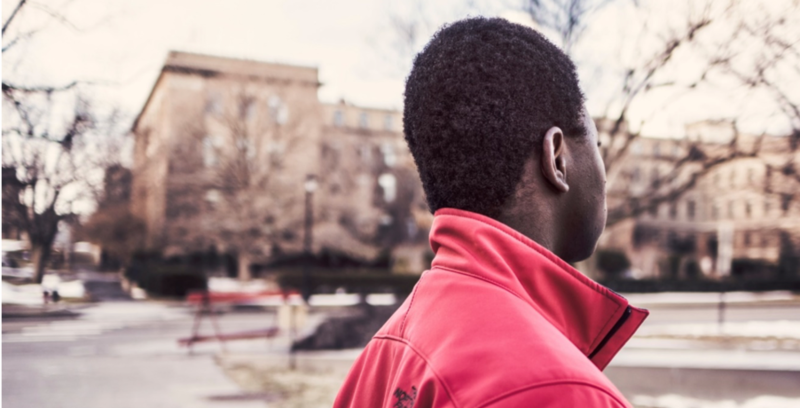 Creating safe and equitable schools for our youth has been a rising issue in this country, yet most of us are not sure where to start to tackle these issues. In fact, many feel it is the job of school administrators to create a safe and equitable school environment. 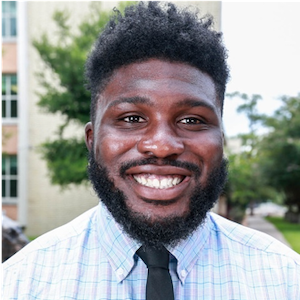 However, the Center for Justice Research at Texas Southern University has discovered disappointing racial distinctions in the delivery of punishments to students throughout the Madisonville Consolidated Independent School District (MCISD). The sentencing disparities observed in MCISD are not isolated to this school district. In fact, they reflect disparities that exist in most Texas School districts. 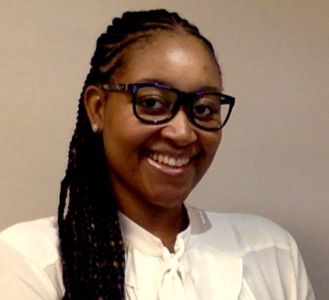 The degree of those disparities varies and has only become an issue of late in such places as Fort Bend County and a Department of Education civil rights investigation finding that black students were “six times more likely to receive out-of-school suspensions than white students and four times more likely to be placed on in-school suspensions.”Disciplinary disparities should never be considered unworthy of corrective action plans and periodic examination. 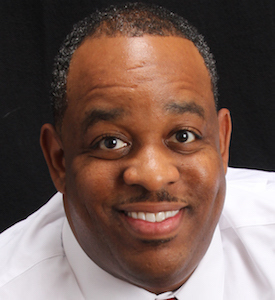 African American students make up 20 percent of the general population in the MCISD. Despite that, African American students have remarkably higher rates of in-school suspensions, out-of-school suspensions and Disciplinary Alternative Education Program (DAEP) referrals. As a matter of fact, these suspension rates are higher than the Texas state average. 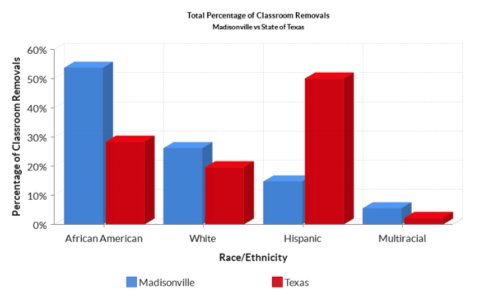 According to the Texas Education Agency Annual State Summary Database, African American students made up 72 percent of DAEP referrals, 54 percent of out-of-school suspensions and 53 percent of in-school suspensions in the Madisonville CISD in 2016-2017. Hispanics made up 28 percent of DAEP referrals, 11 percent of out-of-school suspensions, and 15 percent of in-school-suspensions, while whites had no DAEP referrals, 28 percent of out-of-school suspensions, and 11 percent of in-school-suspensions. 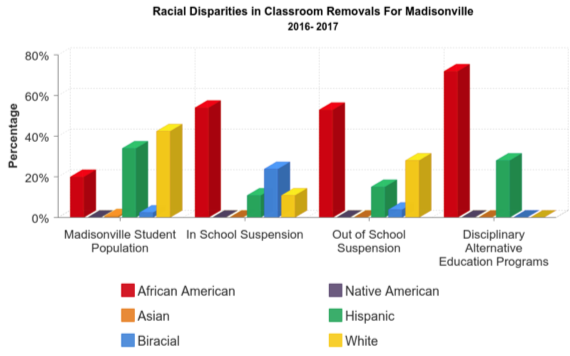 Further, these racially and ethnically disparate disciplinary practices have remained stable within the district over the past decade. As a point of comparison, African American youth represent 20 percent of the total student population, however, they comprise 53.7 percent of classroom removals statewide. 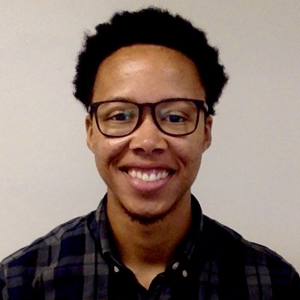 African American students in MCISD are suspended and referred to DAEP at an exceptionally higher rate than any other race, which suggests a further examination of how K-12 schools serve as juvenile detention centers by criminalizing student behaviors. A large body of research has investigated potential explanations for the disparate treatment — specifically the impact of implicit biases and cultural homogeneity amongst educators. Although student bodies reflect diversity in race, gender and class, the racial composition of teachers across the nation is consistently approximately 80 percent white. Further, implicit biases of individuals who work with students may also contribute to the disproportionate disciplinary practices. It is clear that these numbers require further attention concerning the potential negative impact on student performance, identity development and higher risk of involvement in the juvenile justice system. Additionally, research suggests a widespread systemic racial inequality throughout the MCISD. Nevertheless, the unequal distribution of these disciplinary practices toward African American students should not go unnoticed. It is our responsibility as a community to address these issues and assure schools are safe and equitable for all students, regardless of race or ethnicity. Disclosure: Texas Southern University and Prairie View A&M University have been financial supporters of The Texas Tribune, a nonprofit, nonpartisan news organization that is funded in part by donations from members, foundations and corporate sponsors. Financial supporters play no role in the Tribune's journalism. Find a complete list of them here.